John Richard Reid was born in Auckland on 3 June 1928. He excelled at sport at school and when he entered the third form at Hutt Valley High School in 1943 he went straight into the First XI and First XV. He was widely tipped to represent New Zealand at rugby and cricket, but his rugby-playing days ended following two bouts of rheumatic fever and a resulting heart murmur. A punishing right-hand batsman, Reid made his first-class debut for Wellington against Canterbury on New Year's Day 1948. He played 246 first-class matches, amassing 10,535 runs and capturing 466 wickets. After debuting for New Zealand against England in 1949 Reid went on to play another 57 tests for his country, 34 of those as captain. He scored 3428 test runs at an average of just over 33. He scored six test centuries, with a highest score of 142, and took 85 wickets, largely bowling right-arm fast-medium. In 1951 Reid married Norli Le Fevre. They had met in 1946 when Norli was a nurse at Hutt Hospital, where Reid had been admitted with his second bout of rheumatic fever. They were to have three children; Richard, their only boy, went on to play one-day cricket for New Zealand. In today's cricketing world, dominated by limited overs cricket, Reid would have been a great attraction. In 1963 he set a world record for the most sixes in an innings - 15 - while smashing 296 for Wellington against Northern Districts at the Basin Reserve. (This record stood until 1995 when Andrew Symonds hit 16 sixes for Gloucestershire against Glamorgan.) During the 1961-62 tour of South Africa Reid took only 68 minutes to hit a century against Orange Free State. In 1956 Reid led New Zealand to its first victory in a test match, in the fourth and final test against the West Indies. His first innings score of 84 set the New Zealanders on their way. He was also in charge when New Zealand won its first overseas test in South Africa in 1962 but he never achieved a much sought-after victory over the English. He was a member of the team that was humiliated when bowled out for 26 by the English in the second test at Eden Park in 1955. His first innings score of 73 was the highest of the match for any batsman. In 1963, in the third test at Christchurch, New Zealand took a slender first innings lead over the English - Reid top-scored with 74 - but was bowled out in the second innings for a disappointing 159. Reid contributed exactly 100 runs in the lowest all-out test match total to include a century. Reid enjoyed playing South Africa. On the 1953-54 tour he scored more than 1000 runs and took more than 50 wickets. During the 1961-62 tour he averaged a shade over 60 in the five tests. Despite New Zealand's poor international record, Reid's ability and reputation was recognised in 1965 when he was appointed captain of the Rest of the World for two matches against an England XI. These matches marked the end of his first-class career. He retired from international cricket holding New Zealand test records for the most runs, wickets and catches. 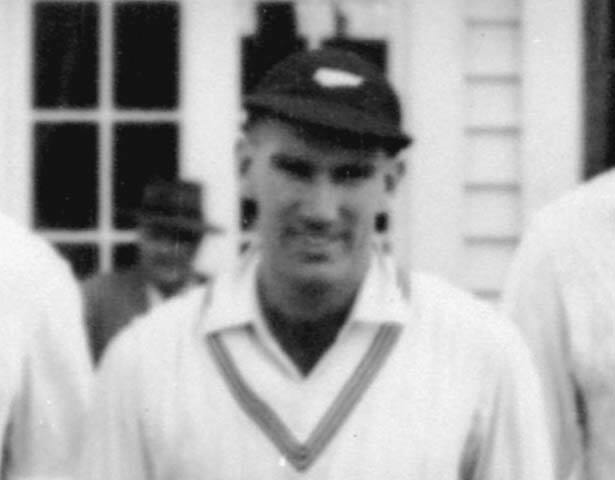 Reid's contribution to New Zealand cricket was recognised with an OBE in 1962. He won New Zealand's highest batting award, the Redpath Cup, on three occasions and the Windsor Cup, for bowling, once. He was a New Zealand selector between 1958 and 1965 and again between 1975 and 1978. Between 1993 and 2002 Reid was an ICC match referee. In this capacity he pulled no punches regarding the modern game, believing that the traditional values of cricket had been allowed to deteriorate. In 1981 Reid and Norli moved to South Africa where they were to live until 1992 pursuing new work opportunities. He became a selector and coach of Northern Transvaal shortly after the highly controversial Springbok tour of New Zealand. South Africa was firmly in the spotlight as pressure increased on the apartheid regime. Despite worldwide opposition to apartheid Reid rejected the validity of the sporting boycotts placed on South Africa, firmly believing politics had no place in sport. John Reid was inducted into the New Zealand Sports Hall of Fame in 1990. We have 2 events in history, 3 biographies, 6 articles, related to John Reid.